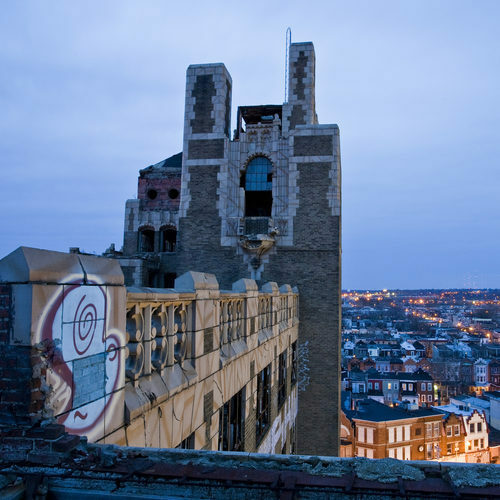 Under the Neighborhood Stabilization Program, a Federal program to renew urban areas, the Philadelphia Redevelopment Authority is administering the program in certain Philadelphia neighborhoods. One of the developers involved in this program is NorthStar Point Breeze LLC, which is developing six new homes for sale to qualified buyers. Unlike other NSP developers, NorthStar bought the lots from private owners. These lots had been sitting vacant for years accruing taxes, liens and generally detracting from the neighborhood. Take a look at the progress at the NorthStar Point Breeze website. This entry was posted in Community, RDA, Tools to Fight Blight, Urban Renewal, Vacant Land by Stephen Arrivello. Bookmark the permalink. New fight on blight….land banking legislation adjoins real estate tax collection reform .- the bill was introduced in City council this week. appointment, powers, and duties, all under certain terms and conditions. It also give Councilperson prerogative over distribution of land in their district. vacant land public/private and tax properties delinquent will go into a single land bank for easy access to purchase. Also check out blight court. L & I are taking Owners of abandoned properties with outstanding code enforcement complaints to court and holding them personally responsible. That means they can go after owner’s personal assets. Ouch…..
Fortunately, the tax reform gives some protection to owner occupied properties who are in need of payment agreements on delinquent taxes…..